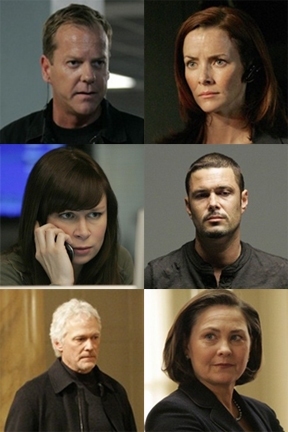 ’24’: Another Game-Changing Season Finale? 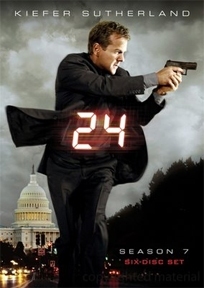 There’s that phrase again: “game-changing.” It’s the way almost every producer has described his or her finales this TV season, and it sounds like Monday’s seventh season finale of 24 (8PM ET, Fox) will be no different. From star Kiefer Sutherland: “You see a real, monumental shift in (Jack Bauer)” in the season finale. Considering that Jack , who, as of this week’s penultimate episode, is dying, has been betrayed by best pal Tony (Carlos Bernard) and now has to betray new pal and co-worker Renee, a.k.a. 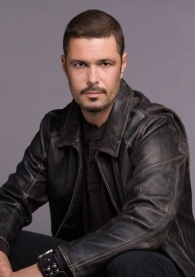 Girl Jack (Annie Wersching) to save his daughter Kim (Elisha Cuthbert), it’s not tough to see how this could end up being Jack’s most emotional finale since he sat in his car crying after being blackmailed into killing his co-worker Ryan Chappelle (Paul Schulze) and having to chop his partner’s hand off in season three.